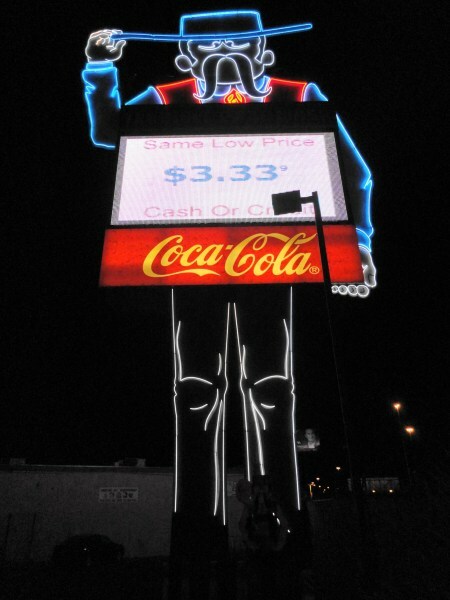 Spotted at the corner of Rancho Road and Bonanza Avenue, beside the US95 expressway and very near downtown Las Vegas. One of the largest gas signs I've ever seen, advertising the Chevron station and car wash. Pretty incredible sight when all that neon lights up at night. Photo and caption from J. Eric Freedner. 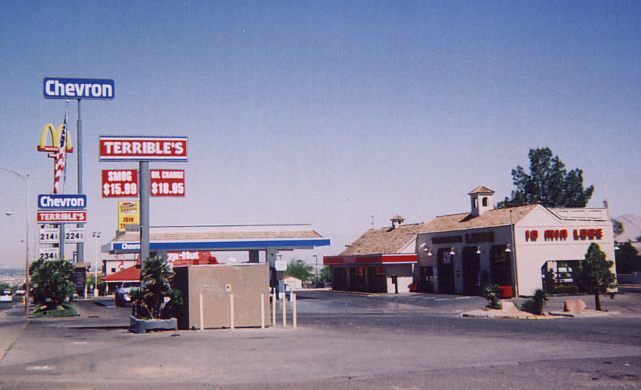 A Terrible Herbst station in Henderson, NV co-branded with Chevron. Taken May, 2004 by Kammy Hunter. Signage seems unique. 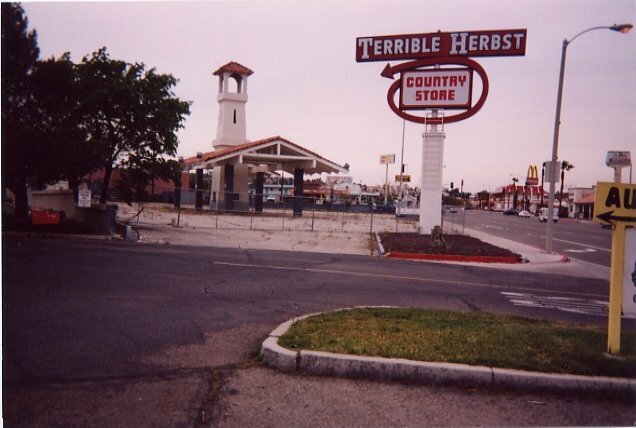 Terrible Herbst station on East Main Street, Barstow, CA. is coming in its place. 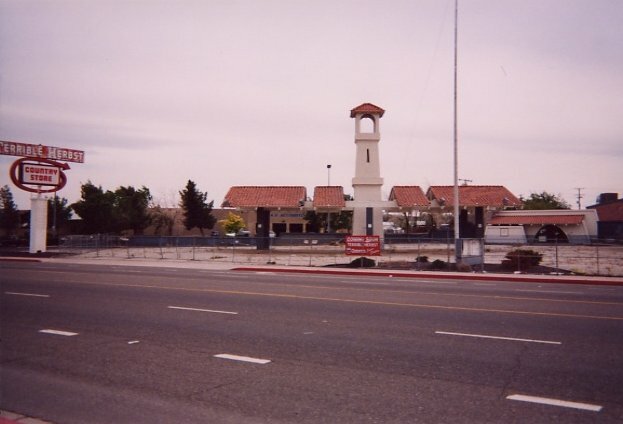 Photos taken April, 2003 by J. Eric Freedner. 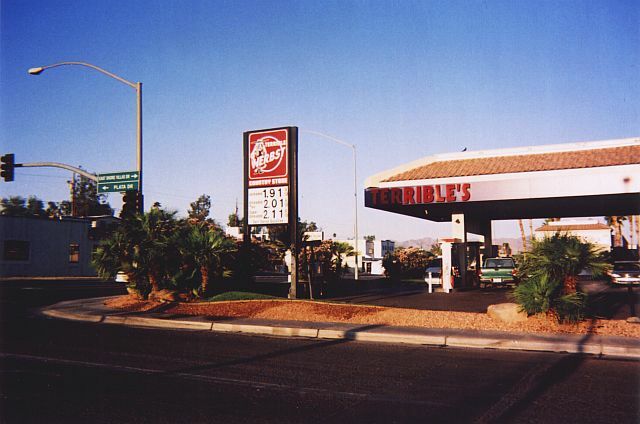 Terrible Herbst in Bullhead City, AZ.